Thomas Edison famously said that genius is “1% inspiration; 99% perspiration.” Coming up with yearbook theme ideas can feel just like that. You think and you sweat and you toss out ideas to see what sticks. As we’ve said before, there is no bad time to think about a yearbook theme, though you probably don’t want to be lying awake all night trying to figure it out. Which is why the Internet invented Pinterest. 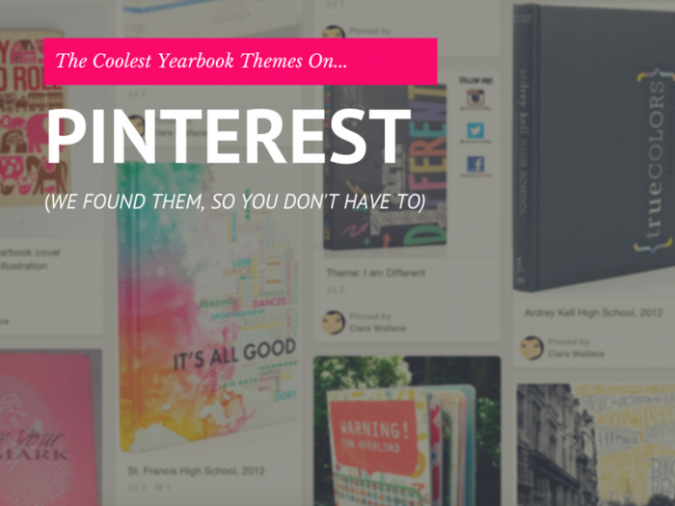 We love Pinterest as much as the next heavy Pinner, but we know that, sometimes, there isn’t much time to click around the site to find those cool themes that’ll work for your yearbook. So we did it for you. 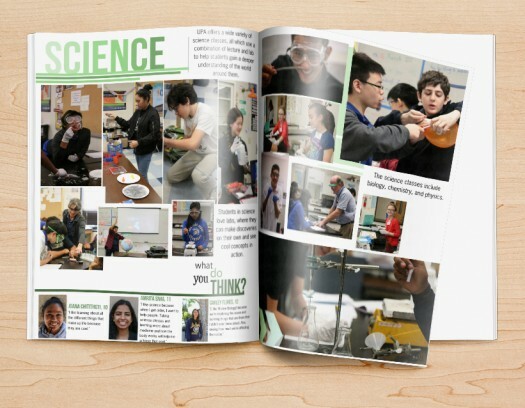 We scoured the site to find the best yearbook theme ideas created by people all over the globe. Here they are. Your school is all about people coming together to form one special, unique whole–and your theme can reflect that. Here, this jigsaw cover takes that idea and makes it literal, with a collage of images that come together. Students will love seeing how they “fit in” (pun intended). Everyone shapes the school year in their own way. That’s what we love about this cover and theme combination. Just like everyone’s handwriting is different, so is their school year. This theme helps tell all of those stories. 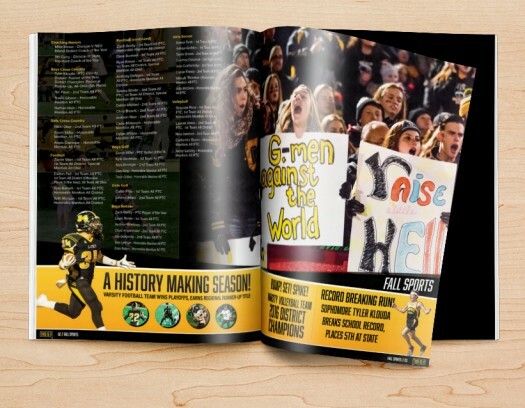 Comic book movies are dominating Hollywood, and your yearbook can take use the bright and eye-catching aesthetic to highlight the everyday heroes that make up the school. This example’s “…to be continued” idea also strikes a chord with the graduating class, as they look to the future. An old theme, with a new twist. “meme”ories gives your students a way to remember those little moments throughout the year that turned into school lore. We love the supporting text on the cover. It’s understated but adds to the design—and to the theme. A school doesn’t run itself and the memories created aren’t done in a vacuum. Every student plays a role, and that’s what we love about this theme. It focuses on the progress everyone at the school makes throughout the year. Sometimes, the best place to turn for inspiration is inside. Use your mascot and your school’s mission as your guiding force when you’re creating a school-specific theme. We love this theme, because it focuses on what the school values and tries to instill in its students. This theme captures the present, while pointing to the future. It can present a visually captivating way to show progress, and to document a moment in time. Maps can be tied into your design; directions could be incorporated into section headers and headlines, and you can tailor it to your school’s area. 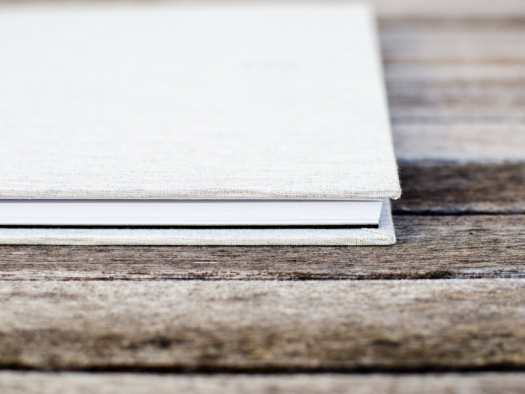 One of these yearbook theme ideas might be exactly what you’re looking for—or it might serve as inspiration for your committee. Come up with a unique twist that makes them all your own, if you are so inclined.